Panasonic GH3 is available $597 only (compared to $797) for a limited time, the camera features 16 MP four third format sensor, records 1920×1080 60p Full-HD videos recording formats include AVCHD at 17-28Mps and H.264 at 4-72Mbps. It uses the NTSC video system/standard. High ISO RAW Test of Sony A77 II camera done by french website focus-numerique, you can download the high resolution sample images from here. visible image noise actually starts from ISO 3200, Both Sony A77 II and Canon 70D showing excellent image quality but Nikon D7100 and Pentax K-3 is showing bit high amount of noise compared to Canon or Sony. 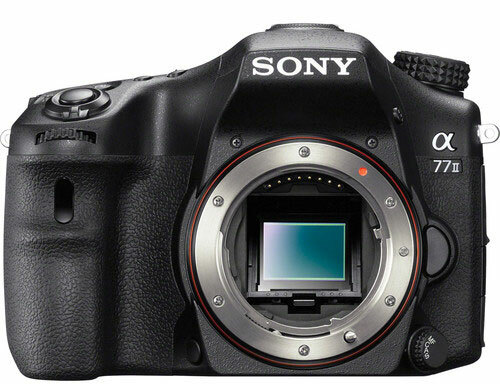 Sony A77 II vs Nikon D7100 – the Sony A77 II is bit more flat compared to Nikon D7100, again the D7100 colors look more real compared to A77 II. Sony A77 II vs Sony A77 – Yes finally at ISO 6400 Sony A77 II is showing bot more details compared to its predecessor , but red-tint problem remains constant, on the other hand Sony A77 showing real life colors. Fujifilm X-T1 features X-trans AF sensor with dedicated phase AF points in it + due to bespoke pixel array design the X-T1 doesn’t need low-pass filter. Canon 70D have Dual-pixel AF sensor with dedicated Phase AF points with the sensor, but sensor architecture is traditional and it does need low-pass filter. Both camera supports Hybrid AF system, Canon 70D is limited to 19 AF point only, Fujifilm X-T1 AF area is divided into a 49-point matrix and covers more screen area compared to Canon 70D. Digital Split Image technology in X-T1 it make a bridge between Manual focus and Autofocus method, through the implementation of four striped focusing aids; similar to a rangefinder focusing method, once all the four strips are lined, it means focus is acquired and you can press the shutter button. Fujifilm X-T1 have bit bigger sensor size compared to Canon 70D. 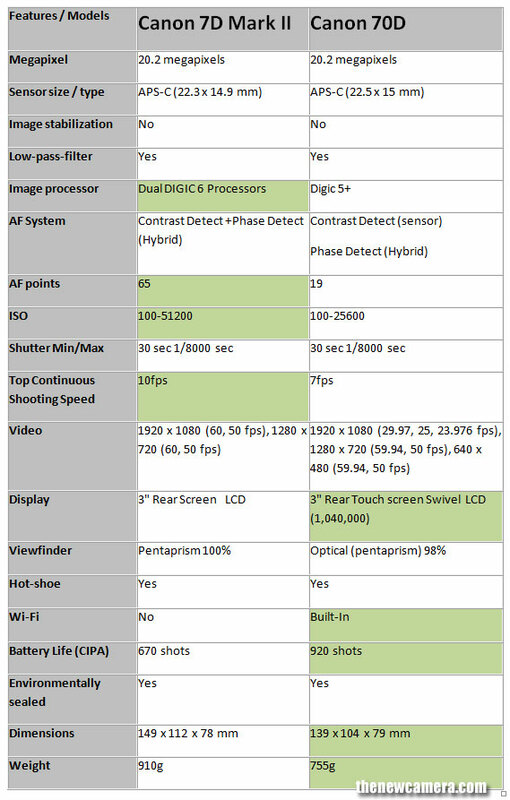 Fujifilm X-T1 have less megapixel count + bigger sensor, that clearly means the X-T1 photodiodes are larger than Canon 70D. The larger photodiodes collect more incoming light to sensor. The Fujifilm X-T1 will perform better in low-light situation compared to 70D. Fujifilm X-T1 can capture Full HD videos @ 60fps frame rate on the other hand Canon 70D is limited to 30fps frame rate. The Canon have better display system compared to Fujifilm X-T1, with Canon you get ability to touch and shoot your subject and swivel LCD helps you to compose your shot effortlessly. Verdict: We highly recommend you to buy Fujifilm X-T1, since it comes with better sensor , no optical low pass filter and advance AF system. B&H Photostore Just informed us about the special discount they are giving on Canon 5D Mark III and Canon 70D for a limited period of time.